Honda Pilot vs. Toyota Highlander: Which crossover is right for you? They may not be the most exciting vehicles, but midsize crossovers have supplanted the station wagon and minivan to become the main choice for families. Every mainstream automaker in America either has a midsize crossover in its lineup, has two of them to cover a bigger share of the market, or is planning on building one as quickly as possible. 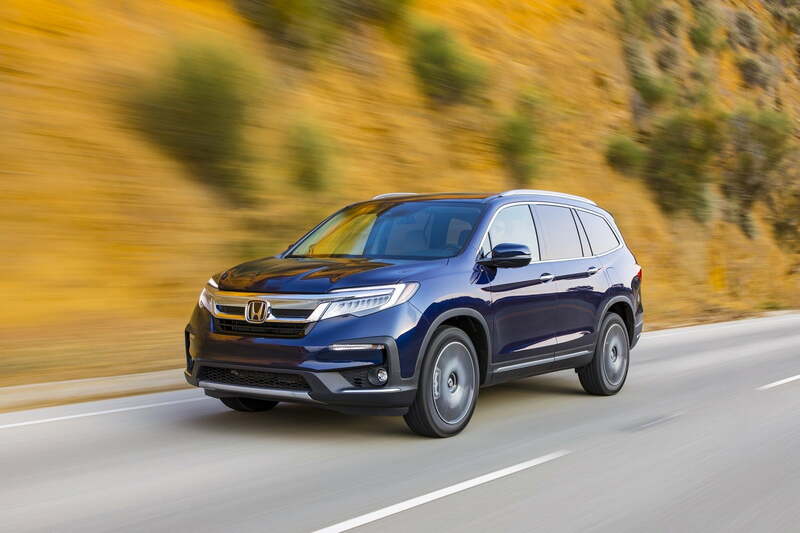 The 2019 Honda Pilot and the 2019 Toyota Highlander are two of the main players in this segment. The Highlander was one of the best-selling car in America in 2017. 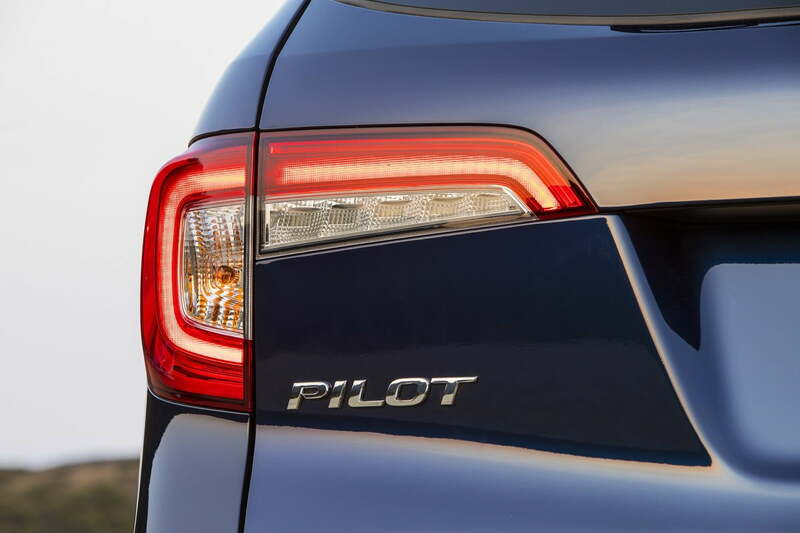 The Pilot wasn’t in the top 20, but which one is better in terms of comfort, performance, safety, and content? Read on and see for yourself. The base Pilot LX comes standard with a 5.0-inch central display screen and seven-speaker audio system. Honda also offers a more elaborate infotainment system, with an 8.0-inch touchscreen and Apple CarPlay/Android Auto compatibility, on higher trim levels. Navigation, an upgraded audio system, and kid-pacifying rear-seat entertainment system are also available, but you’ll have to move even further up the trim level ladder. 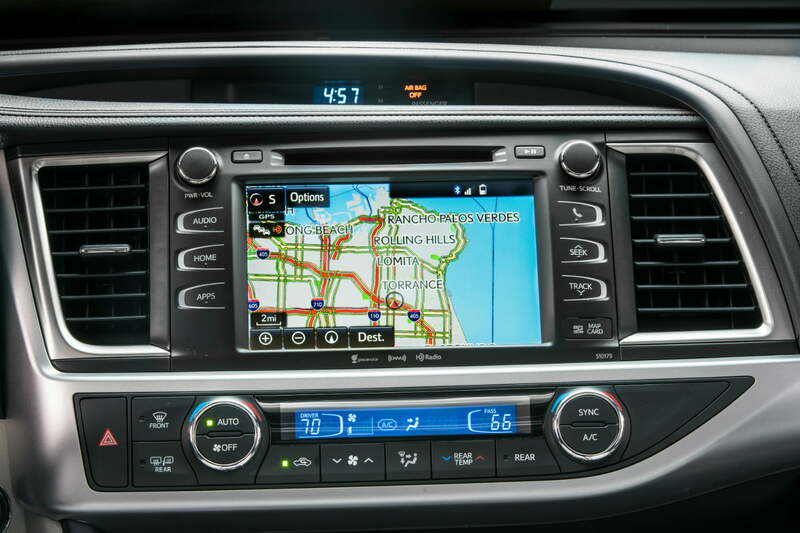 Unlike Honda, Toyota offers a touchscreen as standard equipment. The base Highlander LE gets a 6.1-inch screen, as well as a six-speaker audio system. 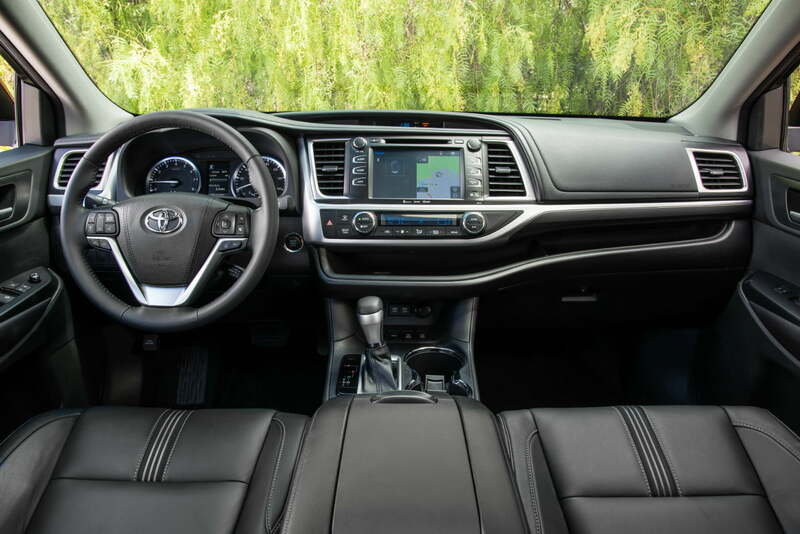 An 8.0-inch touchscreen, navigation, and 10-speaker JBL audio system are all available as options, but Toyota does not offer Apple CarPlay or Android Auto on the Highlander. A rear-seat entertainment system is also available on higher trim levels. The Pilot and Highlander are both car-based crossovers, so while they might look like traditional SUVs, they have more refined on-road manners and a lower degree of off-road capability. Both come standard with front-wheel drive, but are also available with all-wheel drive. Beyond that, there are quite a few differences. Honda only offers one engine option in the Pilot: A 3.5-liter V6 that produces 280 horsepower and 262 pound-feet of torque. The V6 is paired with a six-speed or nine-speed automatic transmission, depending on the trim level. Front-wheel drive Pilots are rated to tow up to 3,500 pounds when properly equipped, while all-wheel drive models can tow up to 5,000 pounds. Toyota designates a 2.7-liter four-cylinder unit as the standard engine in the Highlander. This engine produces 185 hp and 184 lb-ft, and is available only with a six-speed automatic transmission and front-wheel drive. An optional 3.5-liter V6 makes 295 hp and 263 lb-ft. The V6 is paired with an eight-speed automatic, and is available with either front or all-wheel drive. Four-cylinder Highlanders have a towing capacity of just 1,500 pounds, but V6 models can lug up to 5,000 pounds. It’s important to remember that lots of real-world factors can influence fuel economy. In its most fuel-efficient form (with the nine-speed automatic and front-wheel drive), the Pilot gets an EPA-rated 23 mpg combined (20 mpg city, 27 mpg highway). The Highlander maxes out at 23 mpg combined (21 mpg city, 27 mpg highway), when equipped with the V6 and front-wheel drive. It’s important to remember that lots of real-world factors, such as driving style and the types of roads you drive on, can influence fuel economy. As the saying goes, your mileage may vary. Unlike Honda, Toyota offers a hybrid powertrain option. The Highlander Hybrid combines a 3.5-liter V6 with electric assist for a total system output of 306 hp. All-wheel drive is standard, and the hybrid model can tow up to 3,500 pounds. It’s also rated at 29 mpg combined (30 mpg city, 28 mpg highway) by the EPA. The Pilot and Highlander won’t win any beauty contests. Both are an awkward mismatch of styling cues from their respective makers’ cars with large, rather ungainly SUV body shapes. The Pilot’s chrome-laden grille is a bit more stylish than the gaping maw that defines the front of the Highlander, however. Both interiors are fairly nondescript, but that’s to be expected in mass-market vehicles like these. 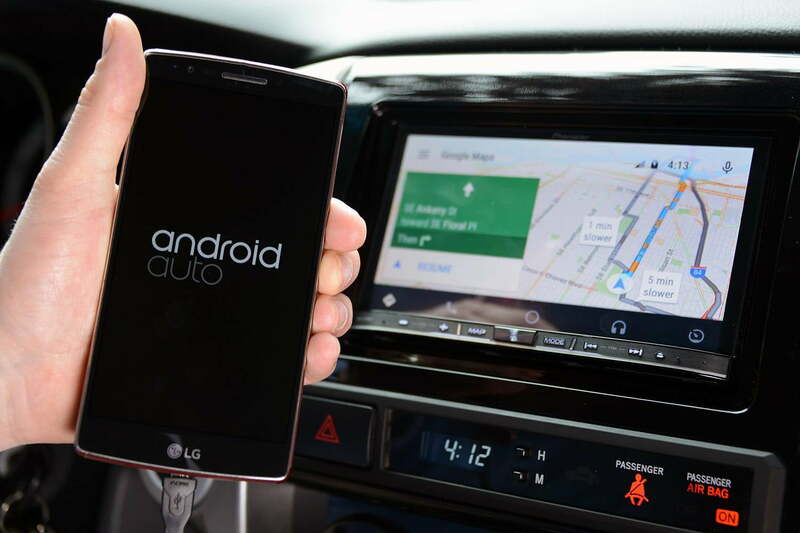 As is the case with many modern cars, the central touchscreens bulge out awkwardly from the dashboards, showing how difficult it can be to package this in-demand tech. 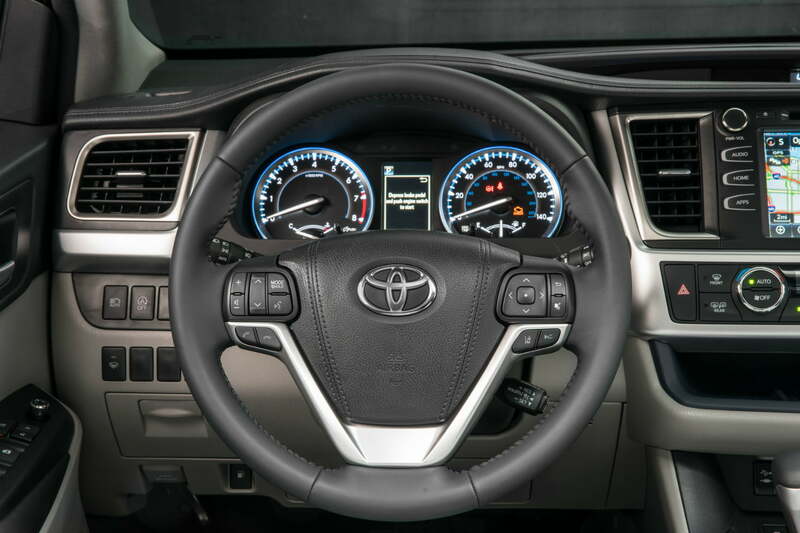 Both the Pilot and Highlander also have supplemental LCD screens in their instrument clusters, which driver may find useful, or distracting. Both vehicles are fairly close in size. The Pilot measures 194.5 inches long, 69.8 inches tall, and 78.6 inches wide. The Highlander is 192.5 inches long, 70.1 inches tall, and 75.8 inches wide. Wheelbase-lengths are pretty close too: 111 inches for the Honda, 109.8 inches for the Toyota. 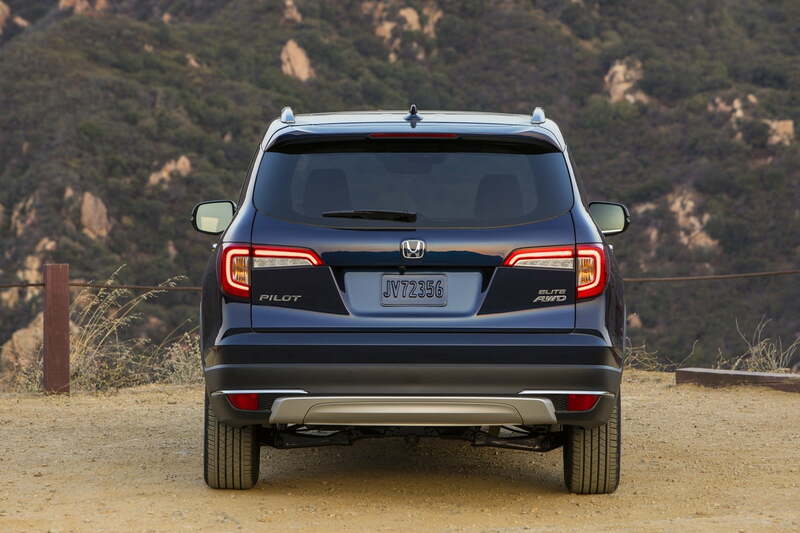 Honda claims 7.3 inches of ground clearance for the Pilot, compared to 8.0 inches for the Toyota. Yet, due to the limitations of these vehicles’ tires, suspension, and all-wheel drive systems, we wouldn’t recommend taking either off road. On the inside, the Pilot boasts seating for up to eight people, with 152.9 cubic feet of total passenger volume. 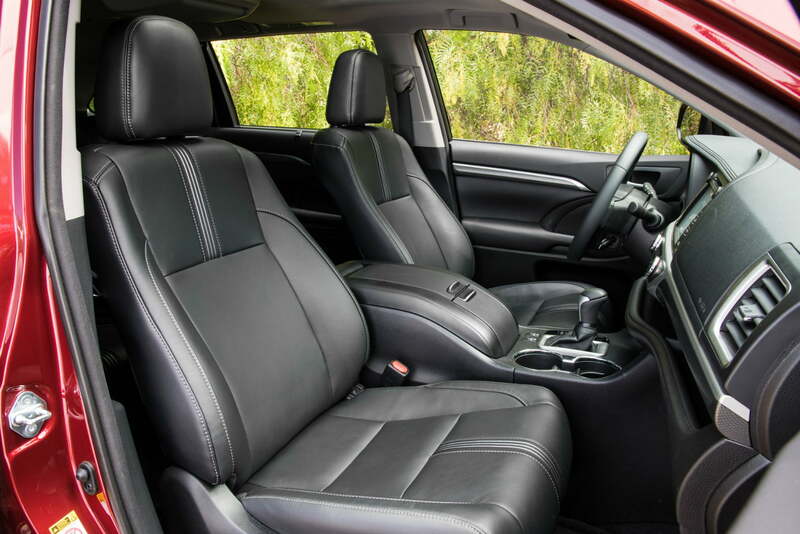 The Highlander can also seat eight, with a maximum passenger volume of 144.9 cubic feet, depending on the model. The Pilot has 16.5 cubic feet of cargo space with all three rows of seats in place, and 83.9 cubic feet with the second and third rows folded. The Highlander offers 13.8 cubic feet, and 83.7 cubic feet, respectively. Honda and Toyota offer an array of safety features. The Pilot comes standard with basic features like anti-lock brakes and stability control, and front, front-side, and three-row curtain airbags. Every Pilot regardless of trim level also boasts collision mitigation, road departure mitigation, forward collision warning, and lane departure warning. Adaptive cruise control comes standard, too, but buyers who want a blind spot monitoring system need to move up in the trim level hierarchy. In comparison, the Highlander comes standard with adaptive cruise control, automatic high beams, lane keep assist, and a pre-collision system. The complement of airbags includes front, front-side, driver knee, and roll-sensing side curtain airbags. Blind spot monitoring and park assist are also available on higher trim levels. 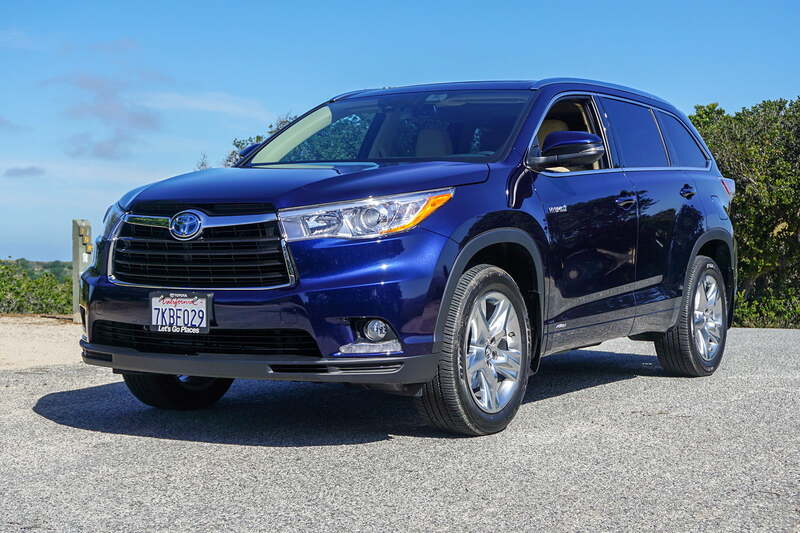 Not surprisingly for vehicles pitched as competitors, the Pilot and Highlander are fairly close in price. 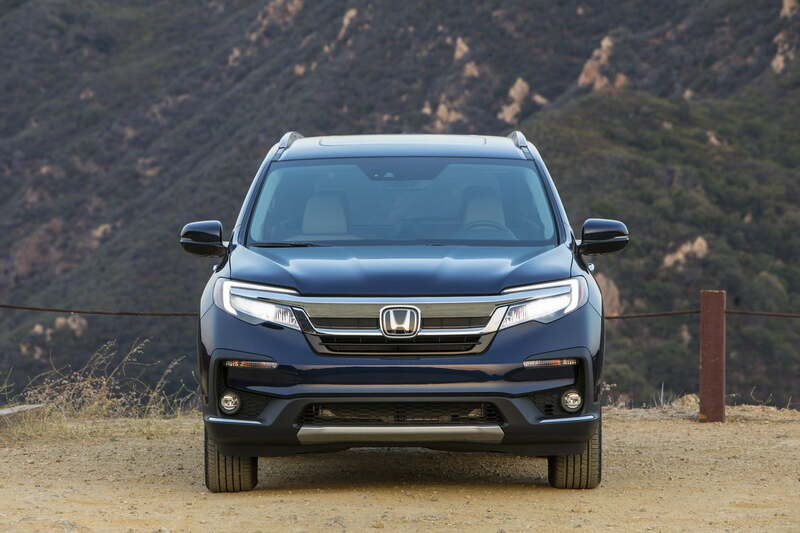 A base Pilot LX with front-wheel drive starts at $31,450 before Honda adds a mandatory $995 destination charge. 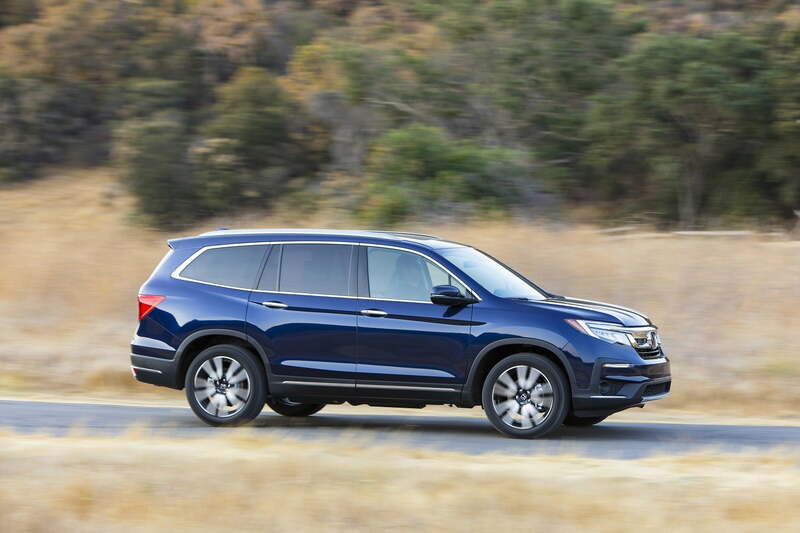 Honda offers the Pilot in LX, EX, EX-L, Touring, and Elite trim levels, bringing the price up to $48,020 for an all-wheel-drive Elite model with navigation and a rear-seat entertainment system. Highlander pricing starts at $31,330. That price buys a base LE model with front-wheel drive and a four-cylinder engine, with no optional equipment. From there, you can upgrade to an LE Plus, XLE, SE Limited, or Limited Platinum model. The most expensive Highlander is the Limited Platinum with all-wheel drive, which hits $47,010. If the Honda Pilot or Toyota Highlander don’t sound appealing, there are plenty of other choices. The Nissan Pathfinder, Mazda CX-9, Ford Explorer, Chevrolet Traverse, Hyundai Santa, Kia Sorento, and Volkswagen Atlas all offer a similar combination of space, features, and price, as does Subaru’s 2019 Ascent.